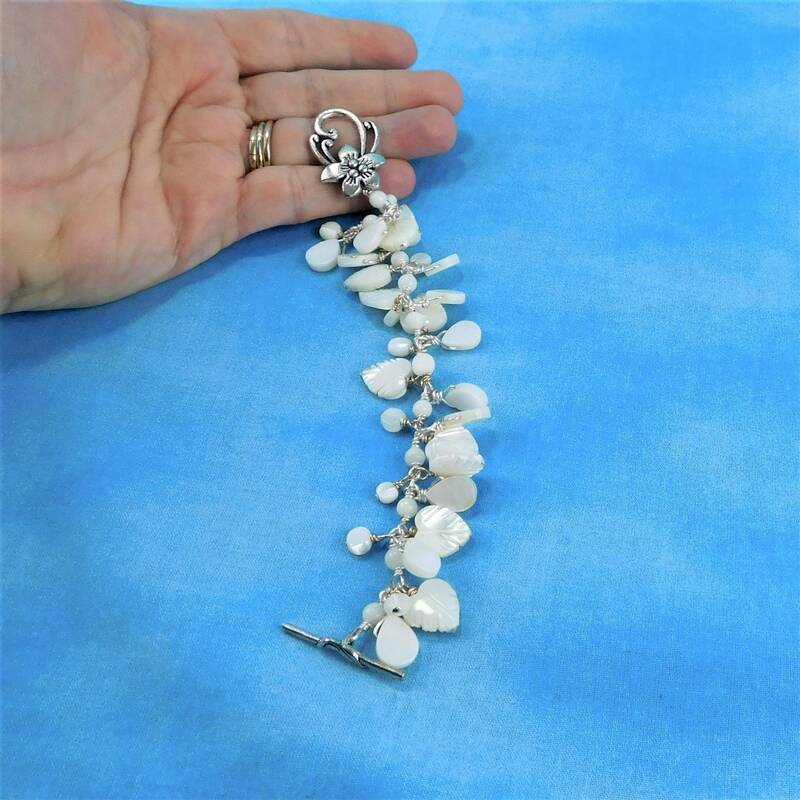 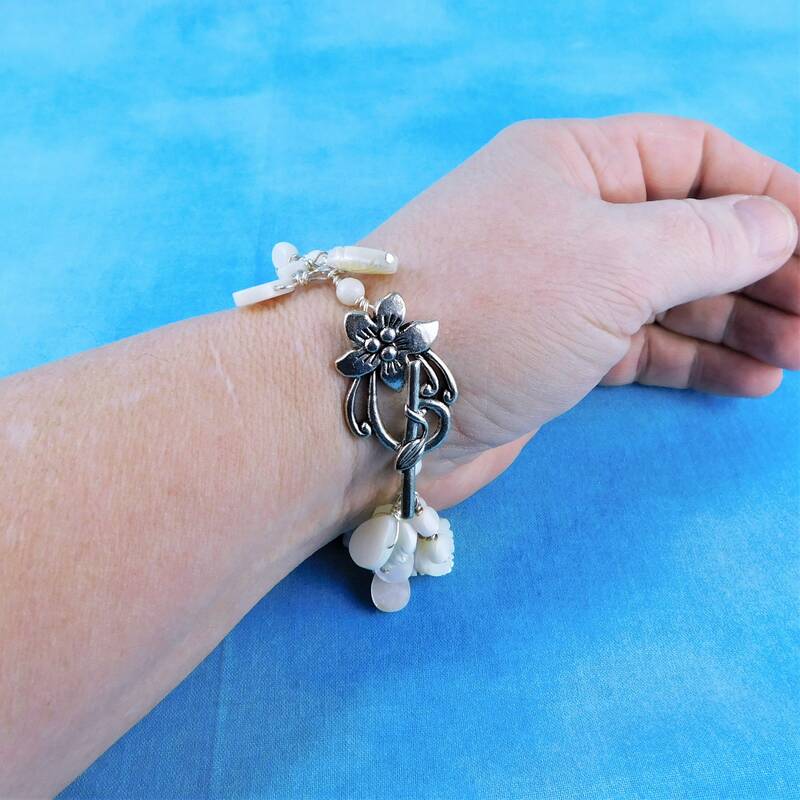 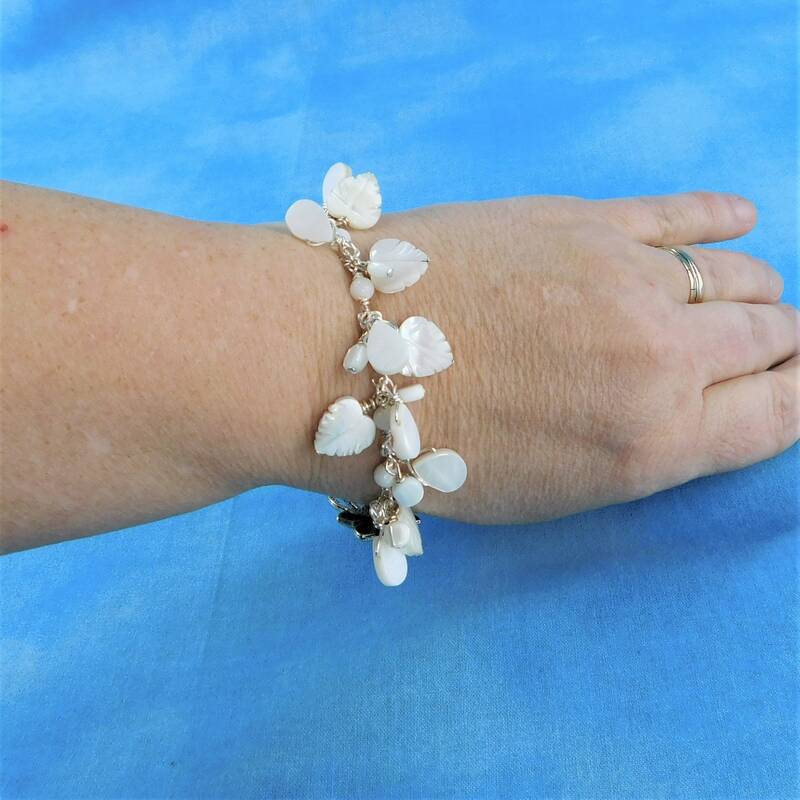 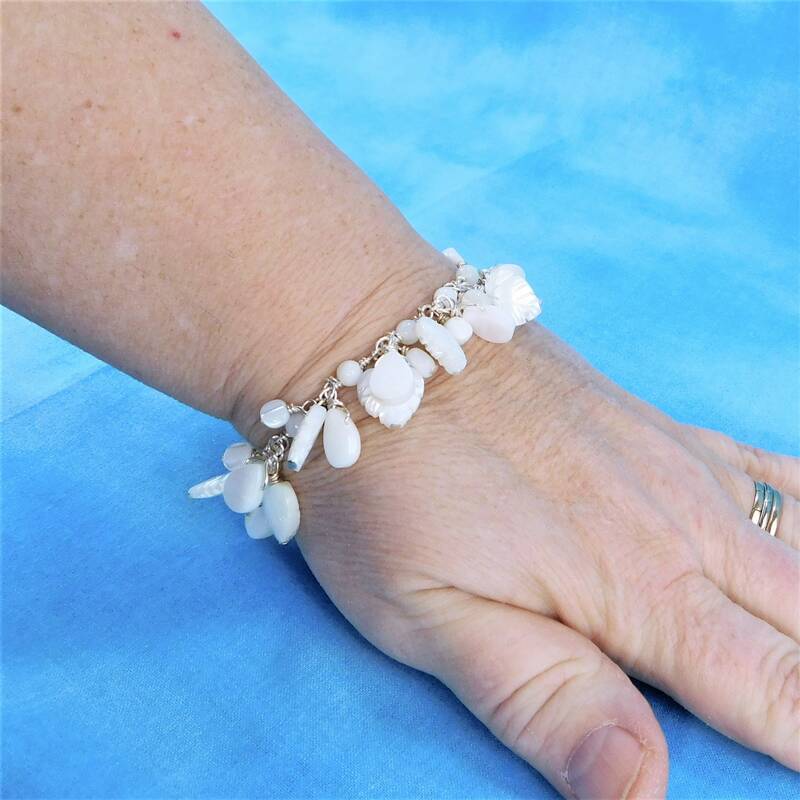 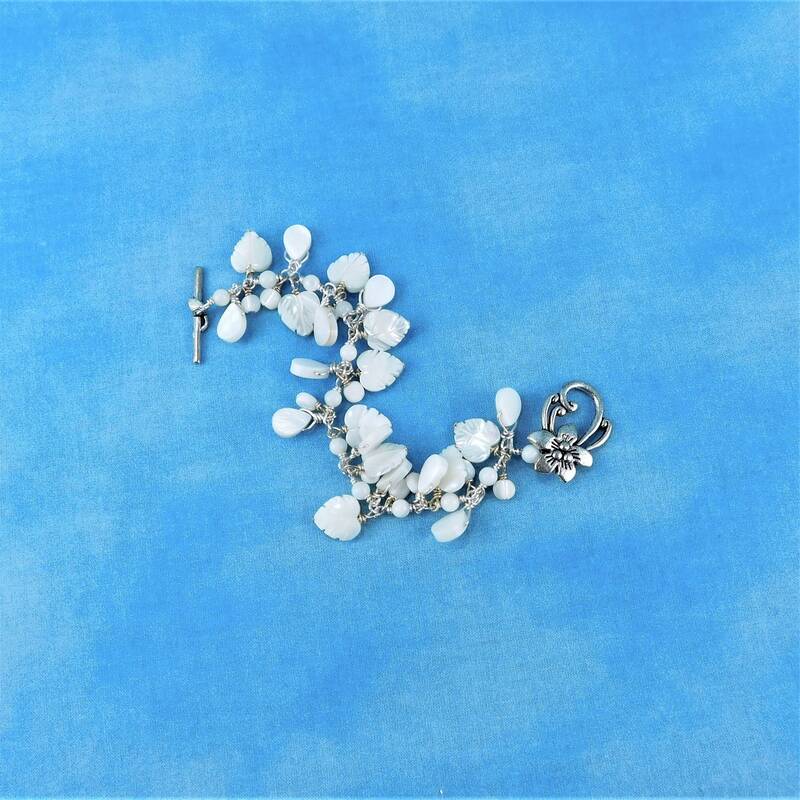 Dozens of carved leaf shaped mother of pearl beads are individually hand wire wrapped with non tarnish fine silver over copper wire and finished with a fancy silver metal toggle clasp. 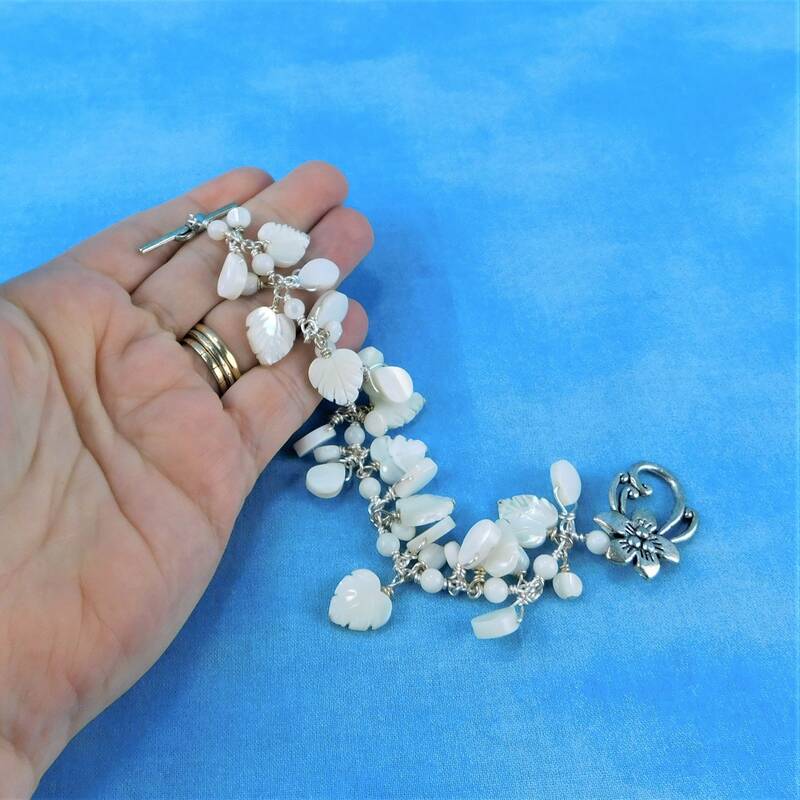 Round mother of pearl beads add fullness and texture to this elegant look. 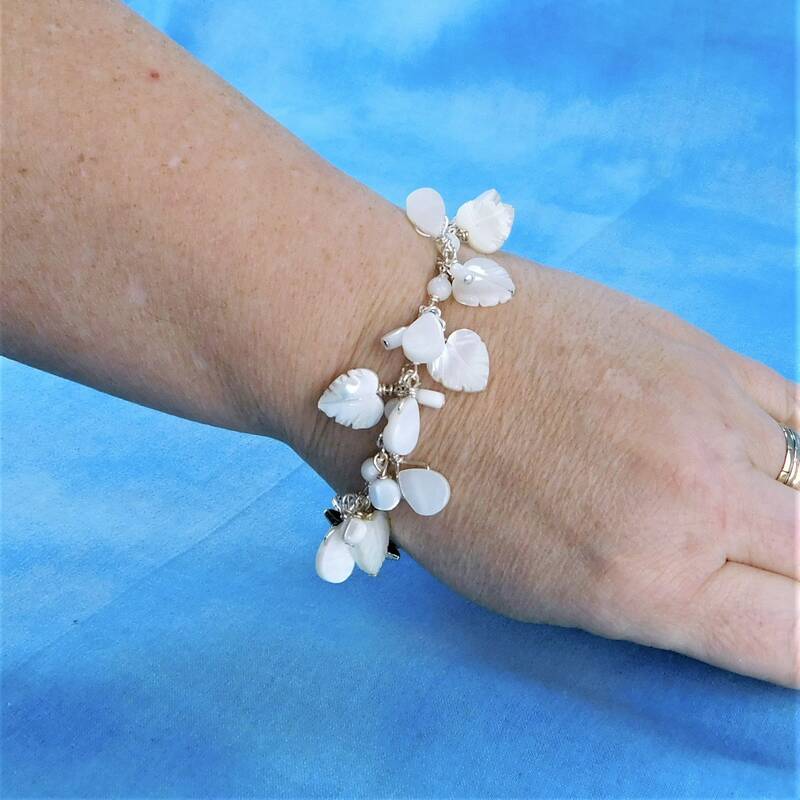 This is one of my favorite designs. 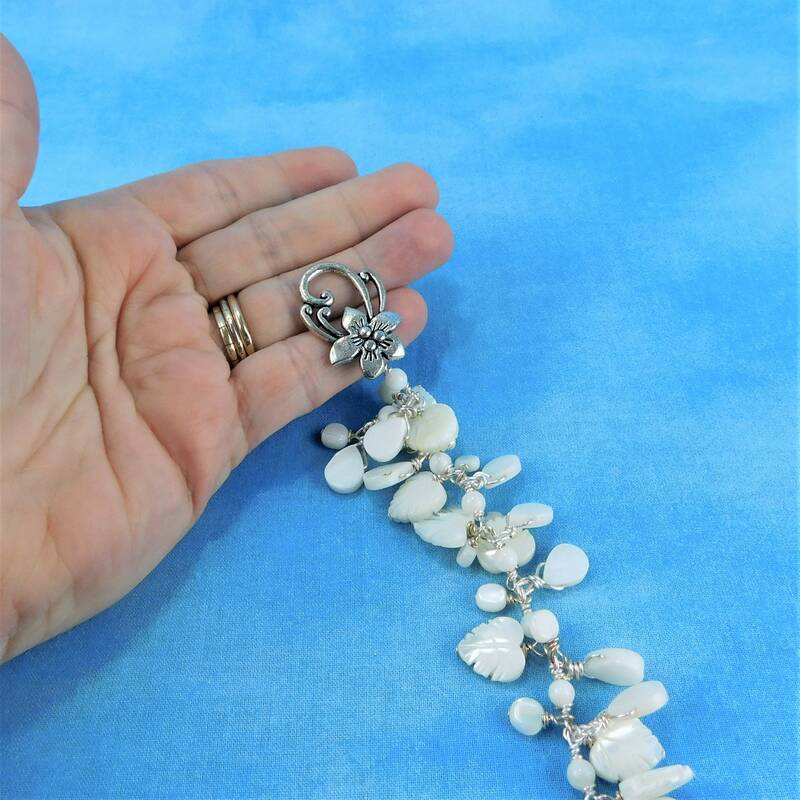 It is a very time intensive design that was created using only pliers, with beautiful beads and wire. 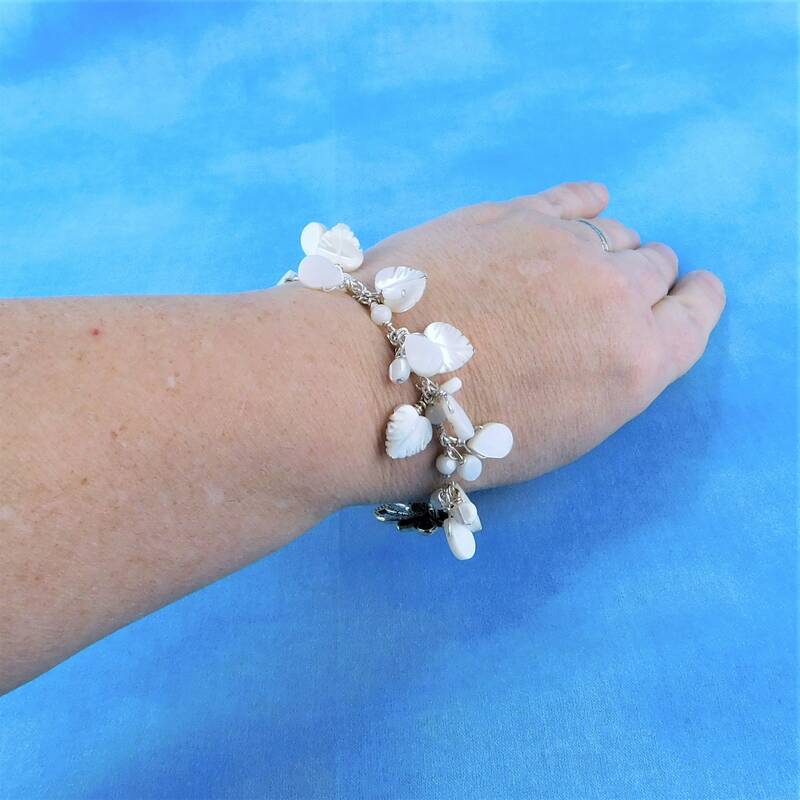 It is lovely, classic and durable. 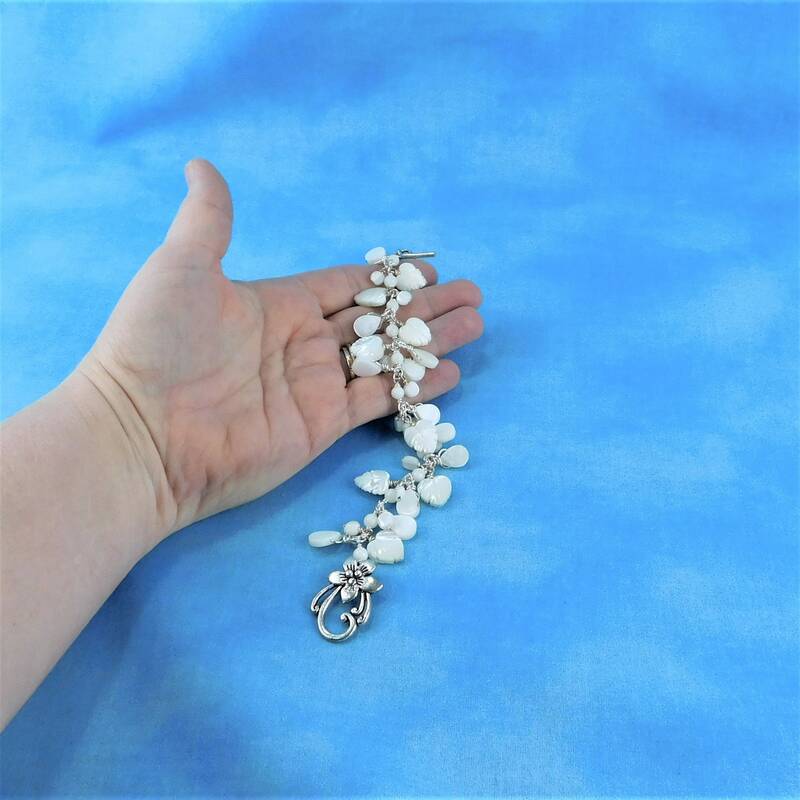 The length is 7 1/2 inches, which can be customized on request.